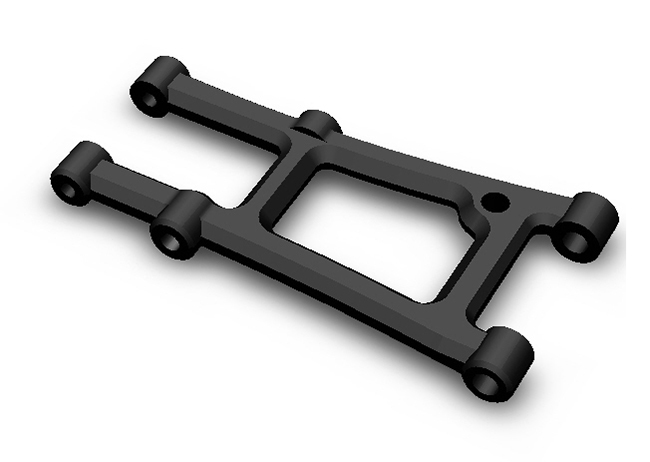 Black Anodized 7075-T6 Aluminum A-Ams for your AE TC7.2 Touring Car kit. These A-Arms were developed for high bite conditions, especially CRC Black Carpet. The increased rigidity of the arms increases response time and corner speed of your TC7 kit. When used with AE Caster blocks and steering blocks in the front and AE Rear hubs, these should be able to be used on your Yokomo BD TC and Tamiya TRF 418 and beyond TC kits. 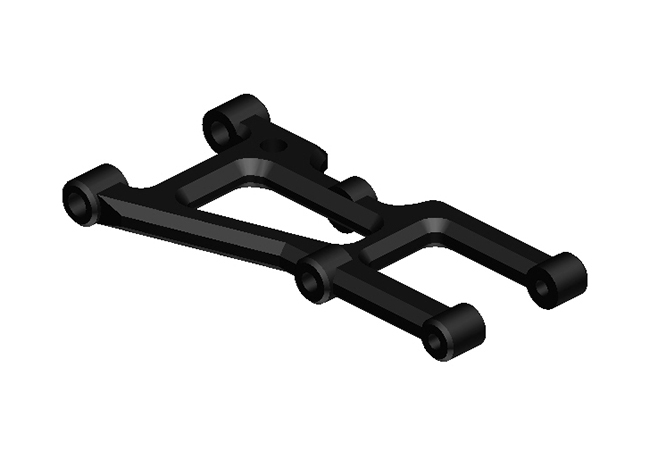 Please note that while the arms are super tough and optimized for weight and strength, in hard collisions, they can bend, so if your track is particularly hard on cars, or you are someone that crashes hard, these may not be for you. Includes 2 Front and 2 Rear Arms.